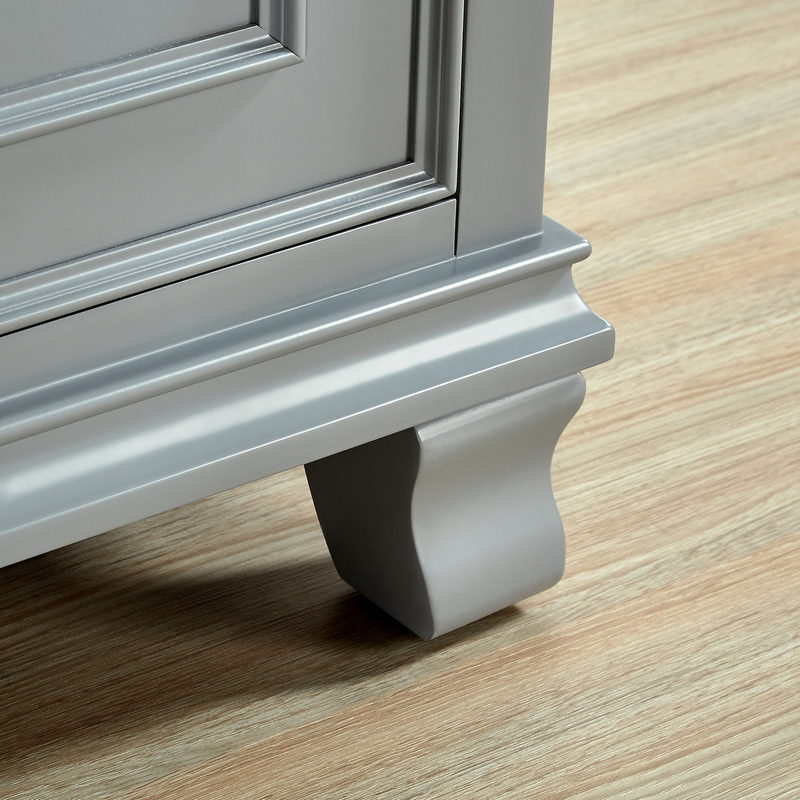 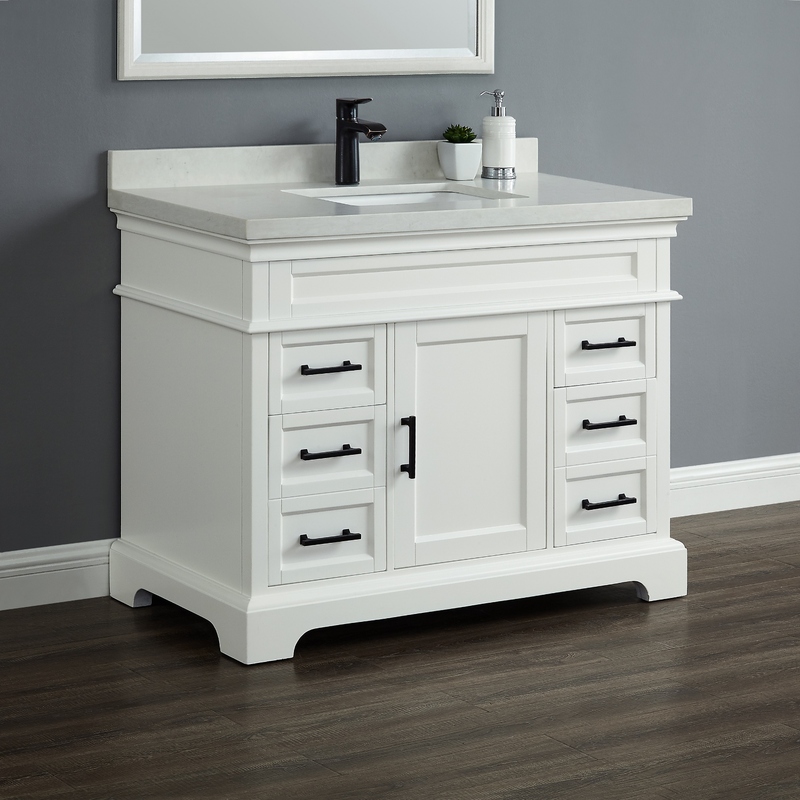 The Middleton collection by Mission Hills® brings a warm transitional style to any bathroom. 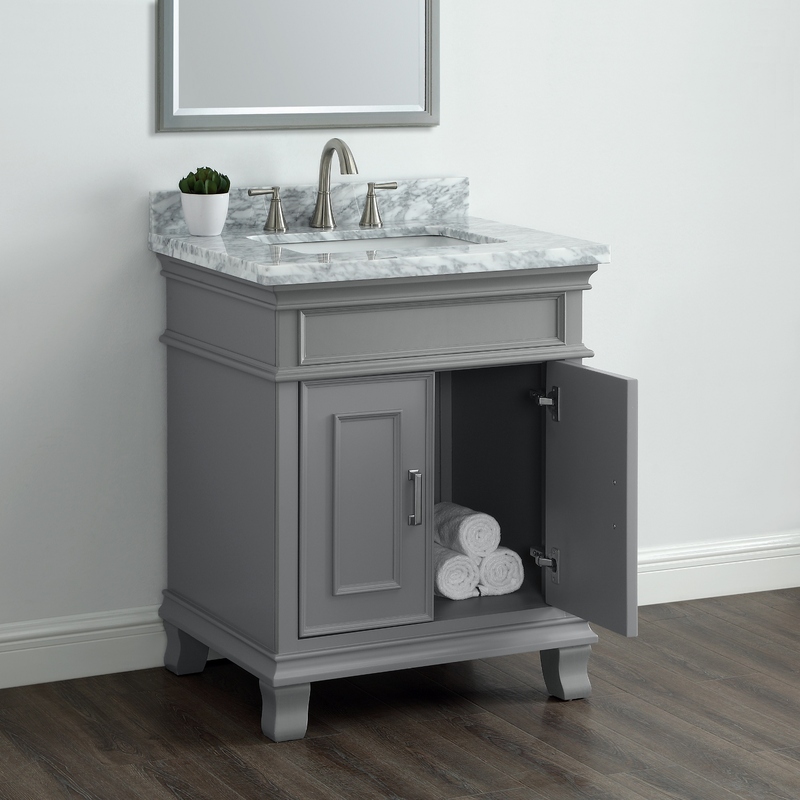 This fully assembled vanity is beautifully finished in Pewter Gray. 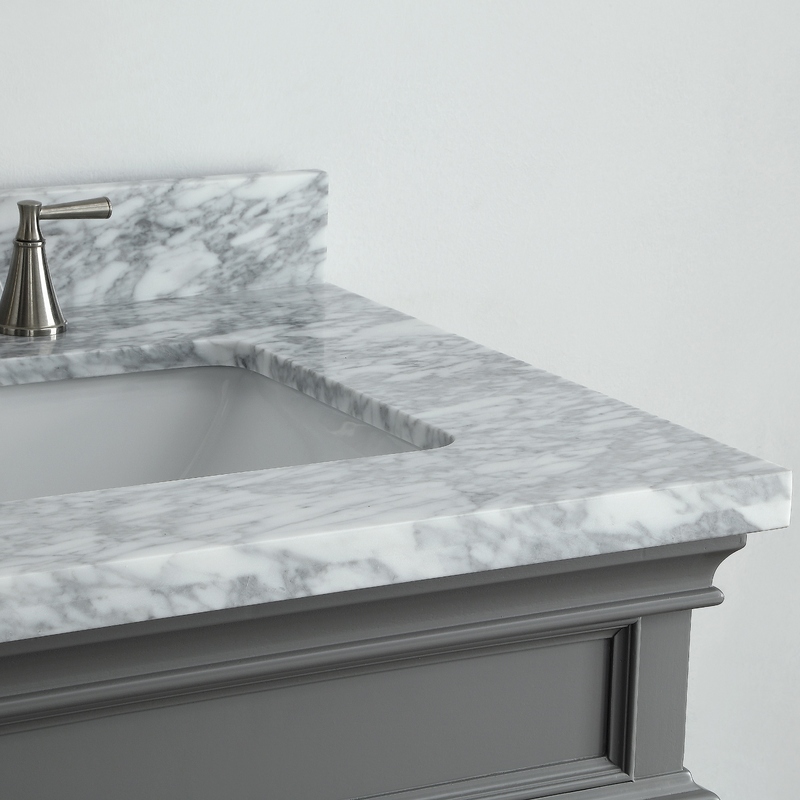 The Carrara Marble countertop provides a white background with black and gray veins that vary from piece to piece. 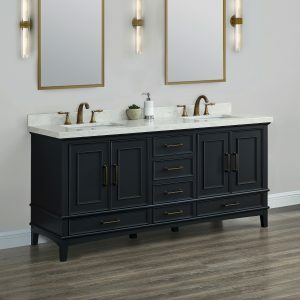 No two countertops are the same creating a custom look that is unique to each vanity. 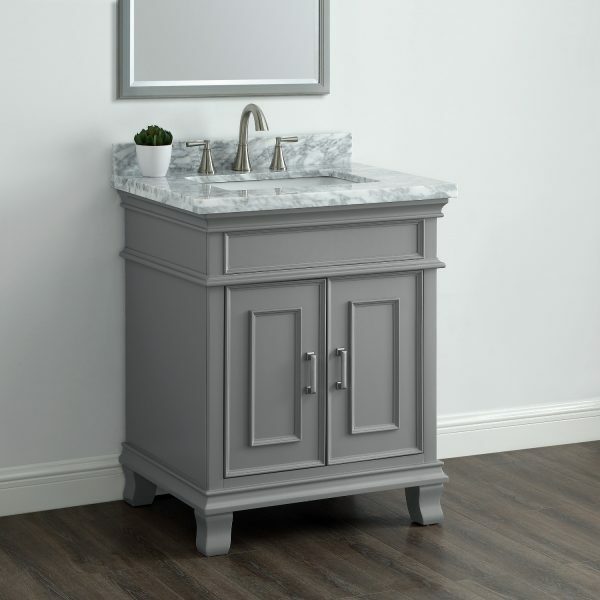 The countertops come pre-sealed and can be cleaned with a mild, non-abrasive soap and water solution or natural stone cleaner. 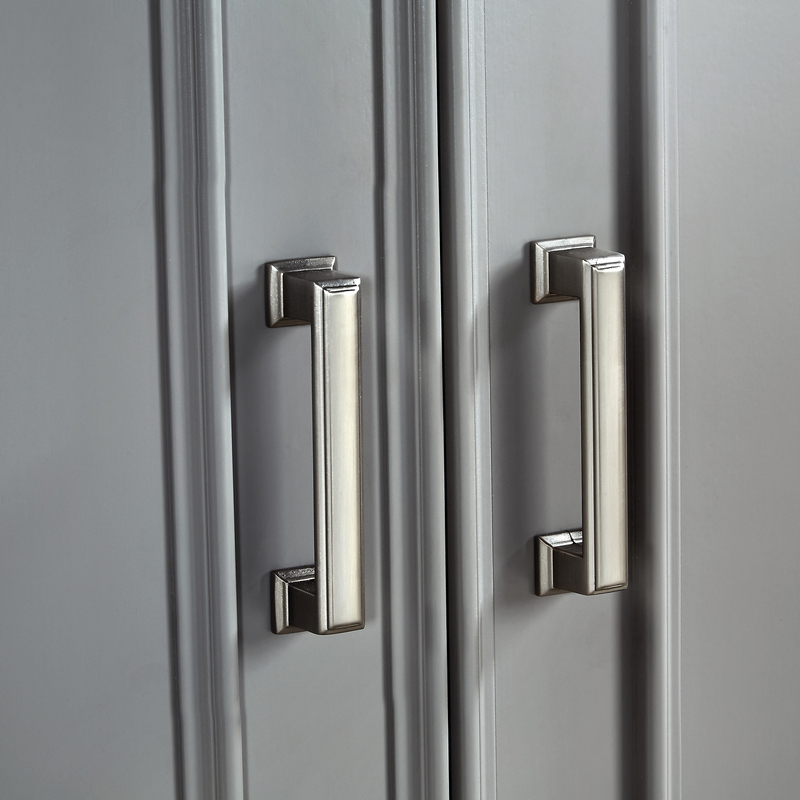 Periodic resealing recommended with a quality sealant from your local hardware store. 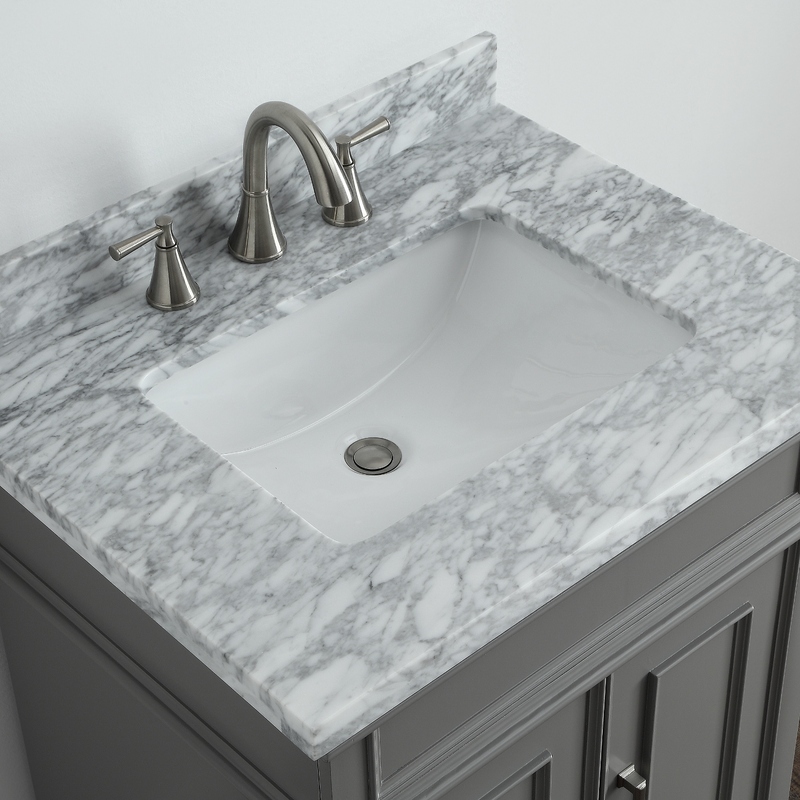 Pre-drilled for faucets with 8” spacing, the Carrara Marble countertop features under-mounted CSA rated porcelain sinks. 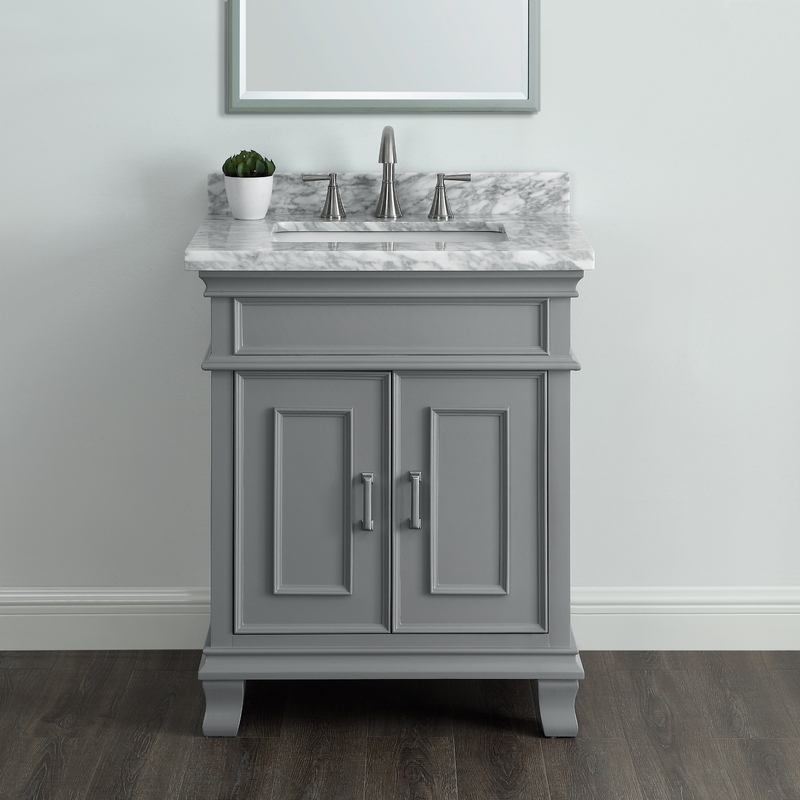 A matching 3” Carrara Marble backsplash is also included. 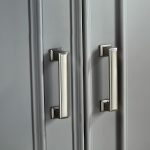 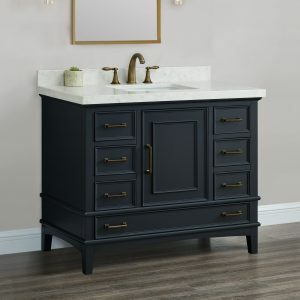 This attractive vanity features soft close hinges and brushed nickel door pulls. 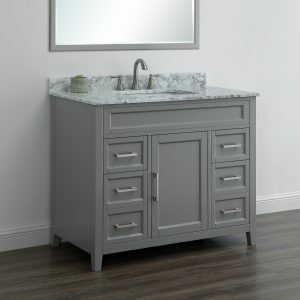 Categories: Middleton Series, Bathroom Vanities.